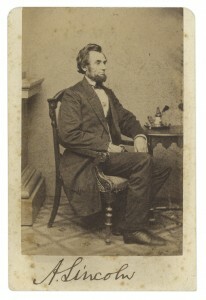 The photograph was taken early on in Lincoln’s presidency in 1861 by White House and Civil War photographer Alexander Gardner, the main assistant at the portrait studio of the famed Civil War photographer Mathew Brady. 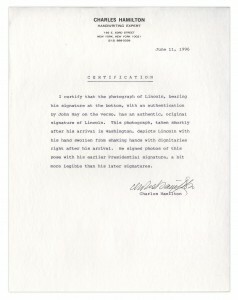 It is also uniquely authenticated by a then 23 year old John Hay, who was Lincoln’s personal secretary at that time. 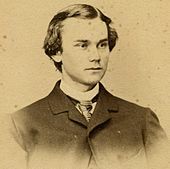 Hay went on to a prolific career in politics, as he became Secretary of State for the presidencies of William McKinley and Theodore Roosevelt. 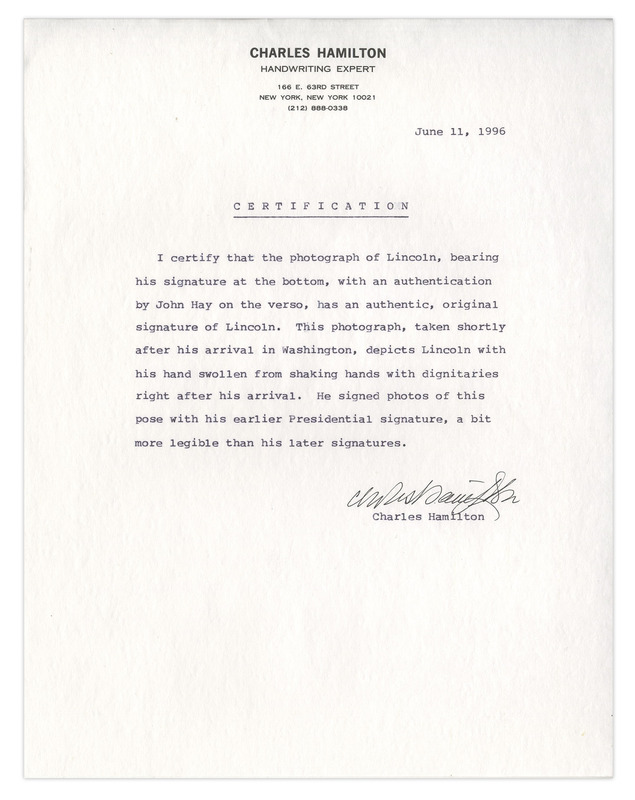 It is clear that the idea of Lincoln signing anything other than an official document was a unique event, and Hay smartly recognized this, offering to personally authenticate the President’s signature to verso of the card. 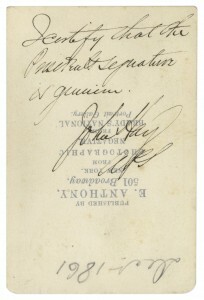 Famed autograph expert Charles Hamilton picks up where Hay left off, having personally authenticated the CDV, writing a letter confirming its authenticity on 11 June 1996. 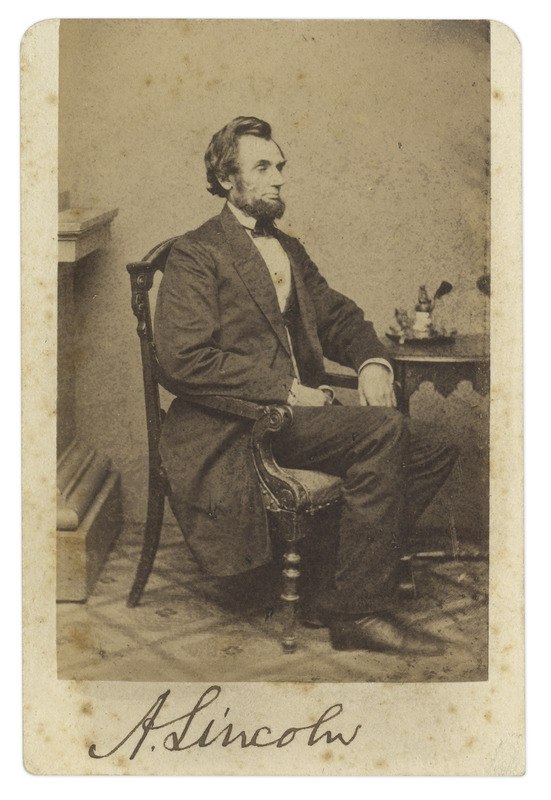 If you currently have an Abraham Lincoln signed CDV or any other Lincoln autographs or letters, please contact Nate@natedsanders.com. 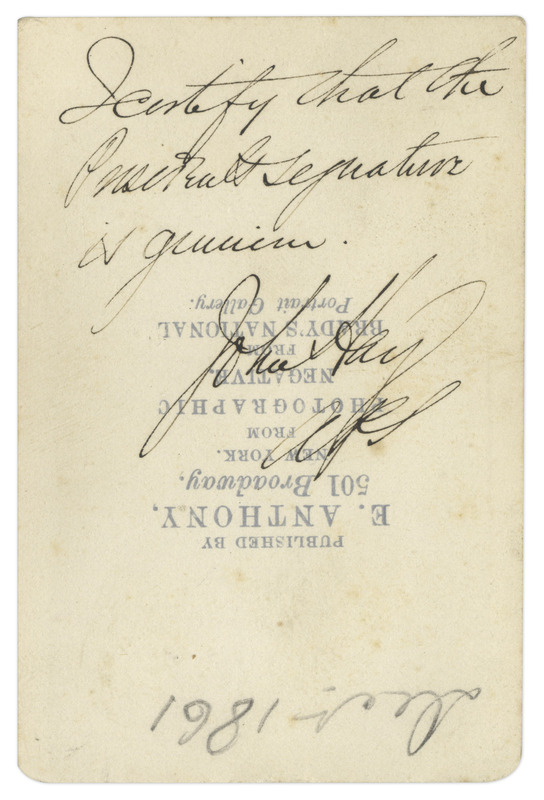 We offer great rates for consignments, and our monthly auction model allows you to put them up for sale in 30 days or less.